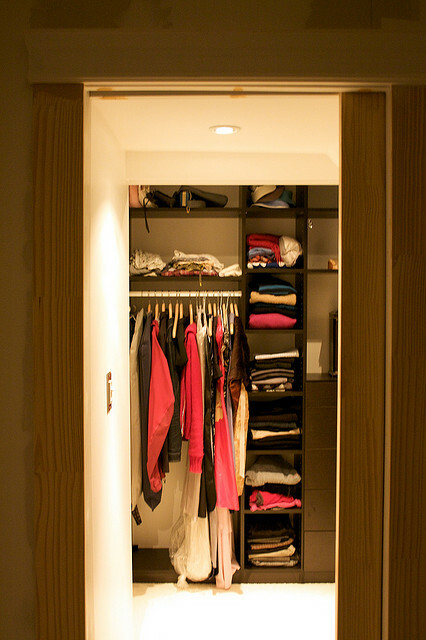 The first consideration you need to make before deciding on a home improvement project like installing a walk-in closet in your spare room is: is it physically possible? Much like opening up space between a kitchen and living room, it largely depends on if the wall between your bedroom and the room you want to convert into a closet is a supporting or load-bearing wall. If it is, then do not fear, as it still may be possible - you just need to make sure the opening you are going to make between the two rooms is supported during construction. When construction is complete, a structural beam will need to be placed, in order to keep the wall supported. You should also check that the wall doesn't house any electrics, plumbing, or HVAC. Again, this doesn't mean that it's game over, but will certainly add to the cost of your project. Keep the window and remember to draw the curtains every time. Replace the glass with frosted glass, or adhere a plastic frosted sheet to the window; this has the added advantage of keeping costs down and letting light in. If you are set on it being a traditional walk in closet, then you can have the window bricked/covered up, remembering that this will add to the cost. Install an Archway, Open-Plan, Or Choose Decorative Doors? Keep it natural and open-plan. Leave the opening as it is, allowing you to breeze in and out as you wish. At a later date, you could always install a curtain to give a degree of privacy when you need it. Make the opening a designer feature, by creating an archway. Again this look is very open-plan, but adds a more decorative feel with some architectural detailing. 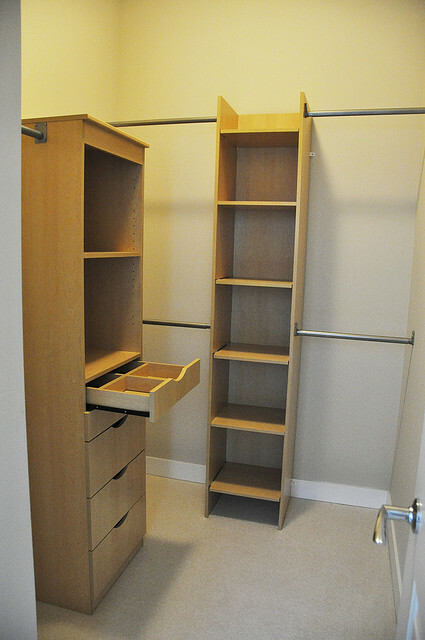 You could also install some small swing louvre doors, much like a designer dressing room. Install an interior door. Installing a door frame isn't a hard undertaking once you have knocked the two rooms through, and adding a door gives you a huge amount of privacy. The downside to this is a lack of flow, and lighting will be a huge consideration, so the choice of door could be important. You could of course go for full-length slatted or louvred doors to let more light in. Installing doors with frosted glass panelling is also a way around the issue of light. 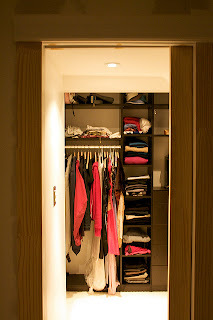 Now the bedroom has turned into a walk in closet, it's time to get organized. There are of course many options when it comes to kitting out your closet, but by far the easiest, and most cost-efficient option is installing modular storage. This means that you are really in control of how your closet is laid out. Take a look at what you have to store. If you have a lot of shoes then clearly you need to invest a large amount in shoe racks or display boxes. If you own a lot of dresses, then hanging rails will be a priority. Try to take advantage of every space that you can. Start with the hanging rails, and fit shoe storage, hat boxes, and hooks around that. 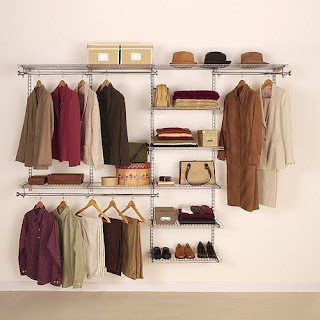 Make sure you have an area that has a high hanging rail with nothing underneath to hang dresses and coats, but other areas can easily accommodate hanging rails on two levels - top one for tops and jackets, and the bottom one for shorter skirts and folded trousers.